Set in the little village of Anatevka, the story centers on Tevye, a poor milkman, and his five daughters. With the help of a colorful and tight-knit Jewish community, Tevye tries to protect his daughters and instill them with traditional values in the face of changing social mores and the growing anti-Semitism of Czarist Russia. Rich in historical and ethnic detail, Fiddler on the Roof‘s universal theme of tradition cuts across barriers of race, class, nationality and religion, touching audiences worldwide with its humor, warmth and honesty. Logo designed by KHS sophomore Ian Gaadt. A dedicated and enthusiastic group of over two hundred KHS students will remain on their feet from 8 p.m. Friday, February 23, to 6 a.m. on Saturday morning for Mini-THON, an event to raise money for the Four Diamonds Fund to benefit pediatric cancer research and families whose children are battling the disease. Through a variety of events, raffles, generous corporate contributions, donations, and the Wizards basketball game, students have already raised thousands of dollars in pursuit of this year’s goal. 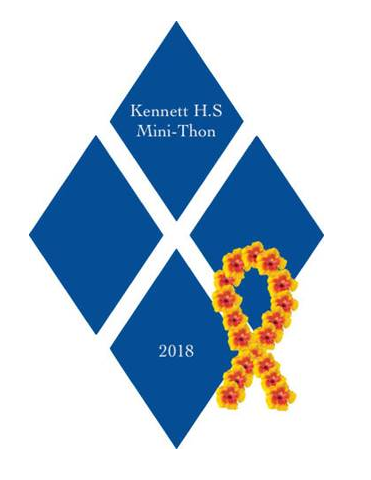 Modeled after Penn State’s Dance Marathon (THON), Kennett High School’s Mini-THON features ten hours packed with fun activities, music, and food. Participants this year will be treated to a luau theme. Faculty advisors for the event are Lisa Teixeira, KHS librarian and Humanitarian Club moderator, and Shawn Duffy, social studies teacher and Humanitarian Club assistant moderator. Student organizers are led by senior event co-chairs Erin Duffy and Anna Wilson, along with junior chair Jayna Bruno, and committee chairs M.J. Patterson, Allie Taylor, Tyler Bowdoin, Abby Davidson, Ashton Albert, Will Michael, and Ryley Harris and returning alumnus Michael Bellino. “I am so proud of the KHS Mini-THON team, particularly my co-chair, Shawn Duffy, and this year’s student leaders, Erin Duffy, Anna Wilson, and Jayna Bruno. They are the most dedicated and selfless individuals and have clearly identified a future-forward vision for our Mini-THON. Our group seeks to not only raise money for Four Diamonds but to provide the community, in and out of school, with a framework for unity, inclusiveness, and fun,” said Ms. Teixeira. 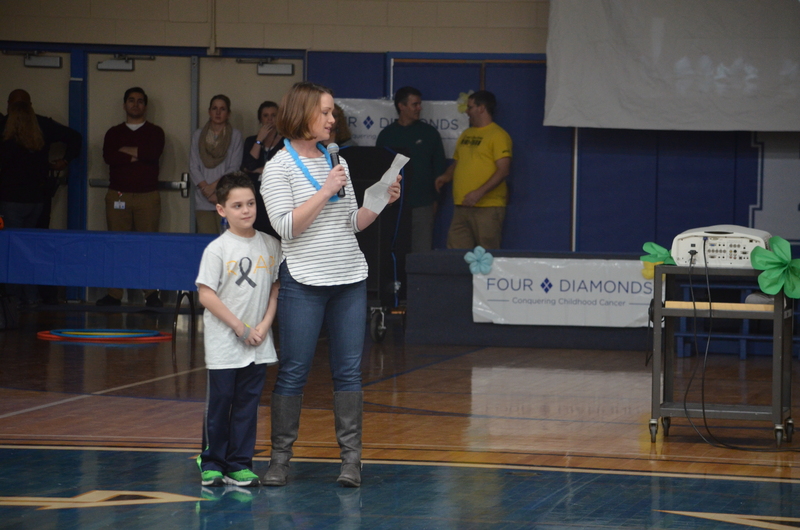 New Garden Elementary student Grayson Savery and his mother, Mrs. Jaclyn Savery, speaking at the Kennett High School Mini-THON rally on January 26. Again this year, a community open house will kick off the evening’s schedule. For a recommended donation of $5 per family, members of the Kennett community are invited to Reynolds Gymnasium from 8 p.m. to 10 p.m. on Friday, February 23, for a sneak peek at the Mini-THON event. Faculty and student organizers are excited to welcome everyone to share in the fun and support a very worthy cause. If you cannot attend the Mini-THON community open house but would still like to make a donation, please visit the KHS Mini-THON website at khsminithon.org or call the school at 610-444-6617 for more information. As a result of schools being closed because of inclement weather on January 4, 5, and 17, and February 7, 2018, the last student day for the 2017-2018 school year will now be a half day on Wednesday, June 13, 2018. Graduation will remain as scheduled on Friday, June 8, 2018. Albert Einstein said, “I never teach my pupils; I only attempt to provide the conditions in which they can learn.” This encapsulates the teaching philosophy of Mr. Shawn Duffy, social studies teacher at Kennett High School. Mr. Duffy received his teaching degree from West Chester University, where he studied secondary education and social studies with a concentration in history. He teaches several classes, including an eleventh year American Studies class focusing on the 20th century, a twelfth year honors economics class, an Advanced Placement macroeconomics class for twelfth grade students, and a large seminar-style course for eleventh and twelfth grade students co-taught with English teacher Ms. Christine Wilson, focusing on the historical perspective and literature of the 1960s. Mr. Duffy has taught in the District for his entire teaching career, beginning with his collegiate field work. He even did his student teaching at Kennett High School. “It was all by design,” said Mr. Duffy. 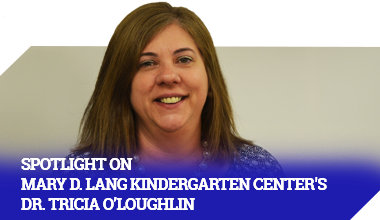 “I always knew that I wanted to teach at Kennett High School. I saw the people who worked here and the students and I knew this was where I wanted to be.” He has had many great mentors and said that made “all the difference” for him as a new teacher. Along with teaching, Mr. Duffy assists library media specialist Mrs. Lisa Teixeira in advising the Humanitarian Club. This club runs several charitable drives throughout the year, along with leading the Mini THON event held at Kennett High School. He also serves as the adviser for the Finance Club, which began last year for students who are interested in personal and institutional investing opportunities. He also took learning beyond the classroom and treated his students to a visit to the New York Stock Exchange. Mr. Duffy has lived in Kennett Square for almost 25 years with his wife and two daughters, who also attended school in the District. His oldest daughter, Bridget, graduated from Kennett High School in 2016 and is currently attending Boston University; his youngest daughter, Erin, is currently a senior.